Earlier this spring, UK songwriter SOAK drummed up some hype for her forthcoming debut album by covering St. Vincent, and now the musician born Bridie Monds-Watson is taking on a much older song by offering up her own version of Led Zeppelin's "Immigrant Song." SOAK makes the tune her own, swapping out the fiery guitars of the original for icy, seething electronics. There's a minimal synth pulse, and the wordless hook is doused in spooky reverb. That being said, she preserves the melodies, lyrics and chord progressions, meaning that this isn't too wildly unfaithful to the original. Go to the land of the ice and snow by listening below. 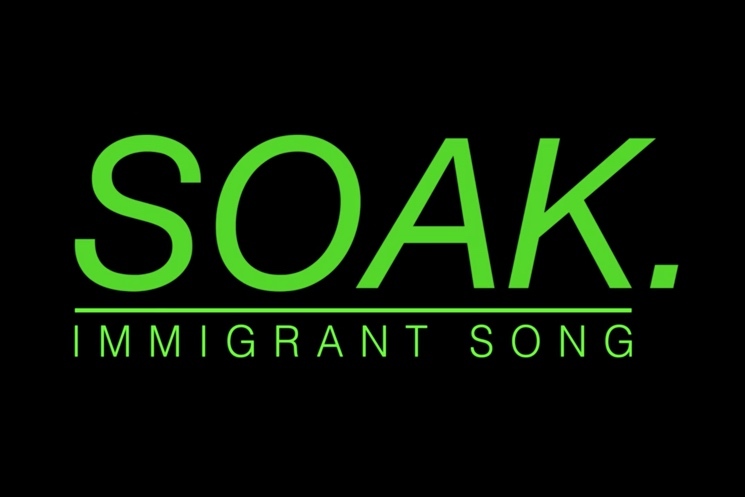 SOAK's album Before We Forgot How to Dream is due out on June 2 via Rough Trade.